This Surveillance Grade hard drive has a capacity of 2 Terabytes. With our NVRs, once the hard drive reaches capacity, the oldest footage is automatically recorded over by new footage. Refer to our recording time calculator to see if this size will be sufficient for your surveillance storage needs. This Surveillance Grade hard drive has a capacity of 4 Terabytes. With our NVRs, once the hard drive reaches capacity, the oldest footage is automatically recorded over by new footage. Refer to our recording time calculator to see if this size will be sufficient for your surveillance storage needs. This Surveillance Grade hard drive has a capacity of 1 Terabyte. With our NVRs, once the hard drive reaches capacity, the oldest footage is automatically recorded over by new footage. Refer to our recording time calculator to see if this size will be sufficient for your surveillance storage needs. This Surveillance Grade hard drive has a capacity of 8 Terabytes. With our NVRs, once the hard drive reaches capacity, the oldest footage is automatically recorded over by new footage. Refer to our recording time calculator to see if this size will be sufficient for your surveillance storage needs. One thing that every security system has in common is the requirement to store data. 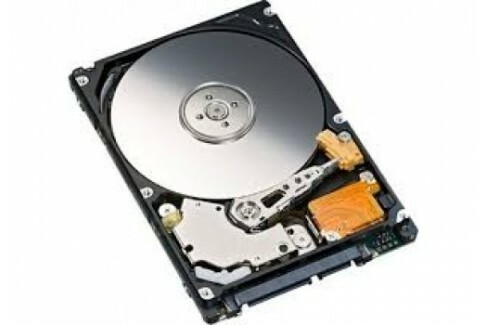 That is where hard drives come into play, and that's why we carry security grade Hard Drives. Surveillance, like many other storage applications, is all about scale and usage. Most home security systems follow a write continuously(save video)/read rarely model(watch video), so if you think about how a mechanical, rotating drive works, performing both tasks at the same time can be incredibly difficult, depending on the physical location of data on the disk. This is one reason why choosing to equip your recorder with the correct Hard Drive(s) matters.